Still playing with my Painted Flowers set, this time pairing it with some Amuse dots and gingham papers that Barb sent me and I've been hoarding. Recently I saw a little corner garden that was done in purples-lavenders and peachy-oranges, and so I chose those colors for my card today. I haven't played with these wonderful Altenew Painted Flowers in awhile, so I pulled them out and started playing, trying different color combinations with them. Then I decided to CASE a card I made last year. I think I love this one even better than the original! And since the flowers have been fussy-cut, I'll enter this into the Power Poppy Cut it Out! challenge. And since I used some Paper Sweeties flower sequins, I'll also enter this into their challenge for this month, too. 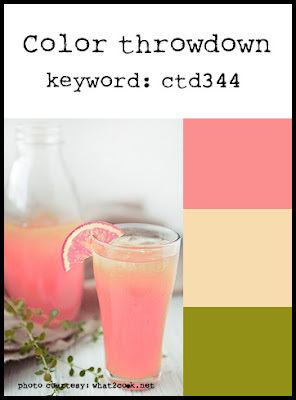 Here's a card for the current Color Throwdown challenge. The colors are so pretty, I dreamed about them, but couldn't come up with a design. Until I saw a card of mine from 2010 pinned recently; it used this lovely Hero Arts Antique Brocade background, so I pulled it out and went from there. Other supplies: Avery Elle Oh Happy Day sentiment, and PTI's The Sweet Life roses. Maybe it was that pink lemonade that haunted me in my dreams? Whatever, these colors are especially pretty together! I've used this set many times, but have never inked up the smaller flowers which are on the bottom of the card, so thank you, Maureen, for making me give them some love! This card reminds me of something by Mary Engelbreit! And being the last Wednesday of the month, our theme is your favorite Anything Goes! My teamies and I are using products made by Avery Elle this week. I used just the 3 inks shown above, getting these citrus shades by cross-contamination, and double-stamping of them. I really like the clear bright colors! I stamped the flowers, mixing some of the inks as I did above, then fussy cut them out and made an arrangement that was popped above the background. for the random winner of our challenge, and she can spend it for her heart's desire at our fabulous Simon Says Stamp Store!! I immediately fell in love with the sample tag at the Tag You're It! challenge this week, because of the many touches of gingham, and couldn't wait to do my own version of it! I have always loved this Quilt Prints set, because it allows you so much freedom with all the patterns in it, and it's fun to find different color combinations for them! This is a CASE of Maureen's first card. I have another idea, so hopefully I'll be back again with a 2nd entry! Thanks for visiting! If you blow up the inspiration and look VERY closely, you can see a subtle concentric circle or maybe a braided design going on in the gold top and also in the pants - that's where I got the idea to emboss my background. And the tilted sentiment? .....from her tilted waistline! Thanks for stopping by today - have a great holiday weekend, and don't forget the reason behind it! When I had my Blanket Stitched set out yesterday I didn't want to put it away and decided to play with it one more time, this time paper-piecing the flowers for Joni's first sketch challenge at Wplus9. These little flowers are so fun to play with; they're just the right size to paper-piece, and I'm very pleased with the way this turned out! I love my dots, and just had to add a little bit of gingham ribbon to the mix! Here's Joni's fun sketch. I'm so glad they're starting up some challenges again over at Wplus9! And I'll also enter it into The current Card Concept challenge, because of the planking background and the colors I used. I'd put this into the Clean & Layered Style. 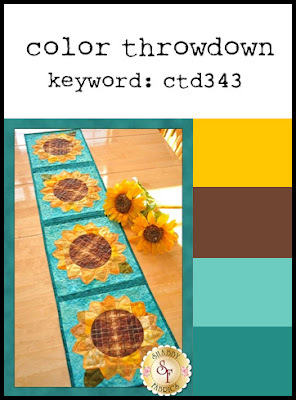 I made this stencilled background earlier and when I saw the gorgeous colors at the current Color Throwdown challenge, I pulled it out again. I masked off the stencil and first sponged it with cracked pistachio, then turned it 90 degrees to change each little square from a striped one to a gingham one and sponged on peacock feathers. The Blanket-stitched blooms are one of the first multi-stamped flowers I ever got, and they're fun to make! I still have oodles of pearls, and still love their effect, so some gold ones went into their centers. 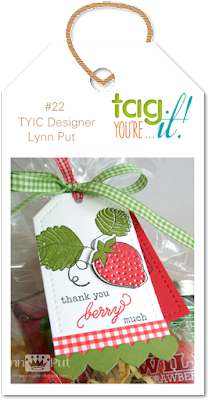 And the little die-cut and sentiment set made a nice finish - the playful font just seems to compliment the homespun feel of the design. Aren't these colors pretty together? 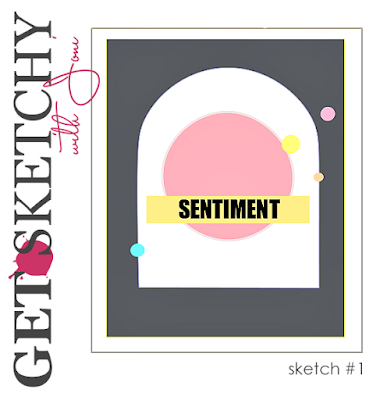 Make sure to visit to see the DT's ideas for them, plus some gorgeous cards in the gallery! Earlier this week I made a card that had a woodgrain panel background. I really liked how it showed off the flowers that I put on top of it, but it was from a paper pad, and the last of that design. So I decided to try and figure a way to make a similar background with supplies I have here in my craft room. I ended up stamping this woodgrain background block onto fog cardstock using a charcoal ink, then trimmed it a bit, sliced it into planks and glued it back onto a slate grey card base, allowing some of the darker charcoal to show through and make planks. I like the results, and it's easy enough to do and change up the colors to browns and tans, darker, greys, etc. Since I'd gone that far, I decided to make a card, and remembered Avery Elle's challenge this month, which is Spring, and so I pulled out several of their stamp sets and made myself a spring wreath. And since I fussy-cut the wreath and sentiment, I'd also like to enter this into Power Poppy's "Cut it Out" challenge once again. Fussy-cutting is something I truly enjoy doing, thanks to a tiny pair of scherenschnitte scissors I have had for years! They must be 30 years old at least, and they are still going strong! Happy Wednesday! 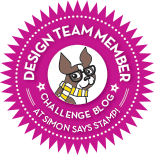 It's time for a new challenge at the Simon Says Stamp Wednesday challenge! This week our theme is Stencil It! And the design team are all using products from The Crafter's Workshop. This Mini Pattern Strips stencil has 7 different patterns on it, so I chose 4 of them and "wove" them onto my card front, masking as needed. Then I just popped a big spray of my favorite yellow roses and this sweet sentiment, embossed in white on black cardstock. I started this card by sponging 2 soft distress inks through my stencil, and then some modeling paste. I remembered that it takes on the color of the ink below it. The rest of the elements kind of put themselves together! Now it's your turn! We have another $50.00 gift voucher for the random winner of this week's challenge. 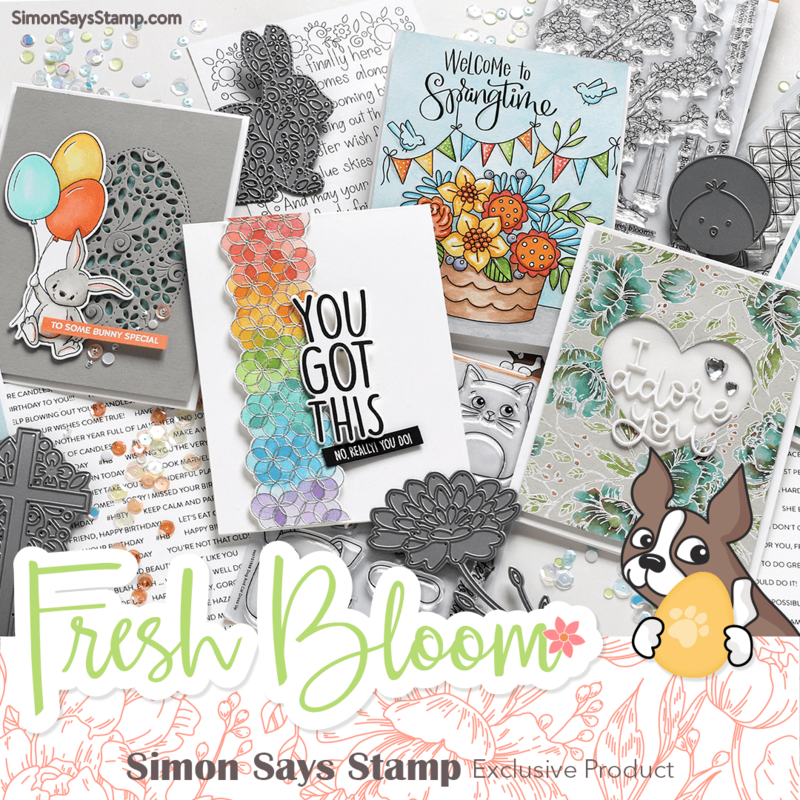 What would you choose at the Simon Says Stamp Store? I have a card today that works for THREE FOUR challenges! I love when that happens! 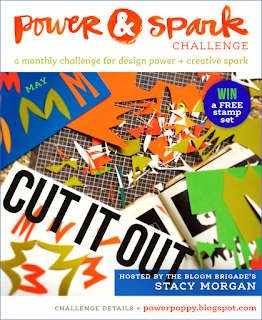 The challenge at Make It Monday is Fussy Cutting, as it is at the Power Poppy blog, and the challenge at the Spectrum Noir May challenge is to use their products with flowers! I kept my card very simple and let these lovely tulips be the star of the show. It's such a shame that when tulips are cut, they last only a short time. So this is my way of enjoying a paper bouquet of them for a bit longer! I stamped them on watercolor paper, colored them with my Aqua Markers and a water brush, then fussy-cut them out and popped them above the board background, tying on a soft ribbon and a tiny tag.. 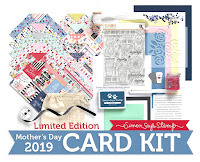 I used my Simon's Stitched Rectangle dies to cut a series of stitched rectangles from 2 of the papers and the white cardstock in the kit, and then added the journaling card that's in the Doodlebug pad to the center, along with the stickers. Fast, easy and done! I have one more try for Taheerah's current Gossip column: Geometrics, at the Winnie & Walter blog this month. I remembered a (now discontinued) The Craft's Meow stamp set called Geometric Foundations, and one of the stamps was a square design. These end up looking a bit like nautical flags, and oh my, my hands don't have the control they used to for coloring these tiny squares, nor do my eyes, but I'm pleased with the results for the most part! Thanks for stopping by today - hope you're enjoying your Sunday! 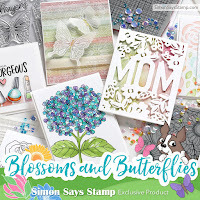 When I saw the Doodlebug design papers in the Simon Says Stamp June Card Kit, I thought summer flowers! The colors are perfect! Don't you love this sweet little Smile die? I backed it with a spellbinder's scalloped circle just slightly larger so that it looks like petals surrounding it, and die-cut some stems and leaves (from my own stash) from the included Green Leaf cardstock in the kit. I also love the big Happy stamp (there's a matching Smile one, too! ), so I simply embossed it on the cute grass design paper. This is such a happy kit, you'll kick yourself if you don't scoop it up! Hope you're having a great weekend! 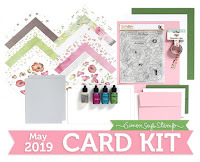 I'll be back soon with another card using this kit! 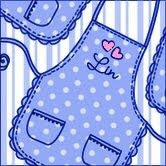 Featured at Craft Stamper today! 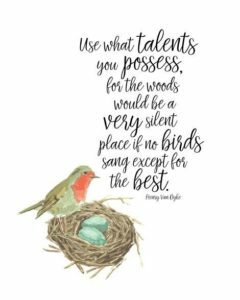 Back in April I won a challenge at the Craft Stamper Magazine blog, and as part of my prize, I get to be featured over there today! Here's the card that got me there. 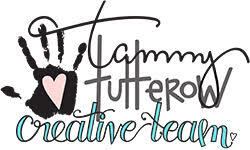 It will also be published as a 2-page spread in the August issue of Craft Stamper Magazine! What a lovely surprise! I'd love it if you'd visit there and leave me some love! Many thanks! I punched out 1 1/4" squares of the mini dots, hearts, and striped papers in the Mon Amie pad, then manually cut those squares into triangles, and randomly pieced them back together into a square design by gluing them onto a backing cardstock. Then I ran the finished little quilt panel through an embossing folder to give it some texture, and the feel that real quilting would give it. Then it was just attached to my card base, and I added a Winnie & Walter flower and sentiment to finish. 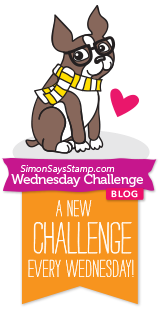 It's time for a new Simon Says Stamp Wednesday challenge! 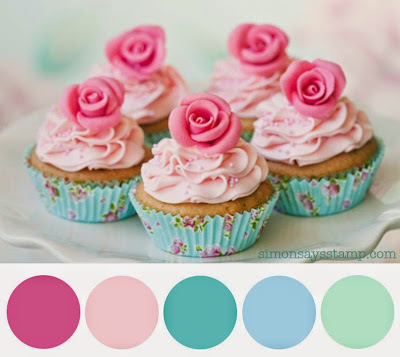 This week we have some inspiration colors for you, courtesy of our Jenn! 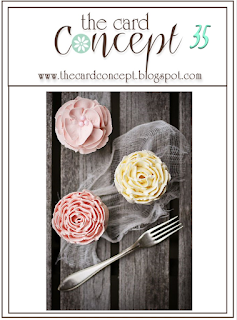 I chose one of the Artful Flower outline stamps and stamped it on each of the cardstock colors in the Sweet Treats pack, adding an extra pink one, then fussy-cut them out. I used my Signo white pen to color in their centers, and also added a bit of matching ink to the centers of the flowers. Then I arranged them on my stitched tag, and added leaves die-cut from Green Apple cardstock and doodled around the edges so they "matched" the flowers better. Setting that aside, I stencilled the Medium Dots on my card front roughly in a diagonal from top left to bottom right, and when that was dry, I added color to the dots using the Sweet Treat inks and finger daubers. My second card uses all of the colors except the lightest pink. 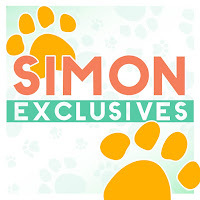 that will go to the random winner of our challenge this week, to be spent at the Simon Says Stamp Store! You take this basic block and repeat it over and over for a quilt. The magic happens when you add color to those elements! And this is one of those patterns that looks different depending on how you focus on it.....you may see just those pointy diamonds floating in lines and diagonals, or you make focus on the petals, and see pink flowers, with a patchwork behind them, or you may see pink circles, each with a different patterned center! I found that I have a stencil and a stamp set that work beautifully together, so I stencilled the petals on it using picked raspberry ink, then went back in with my stamp set and filled in the spaces between the blocks (pointy diamonds, for lack of a better word for them), with various patterns and colors of ink (spiced marmalade, mustard seed, peacock feather, cracked pistachio, and more picked raspberry). That panel was then trimmed, attached to my card front, and then I added 4 layers of my cutaway and a stamped banner, along with some gold and silver sequins for sparkle. I'm planning on using this as a bright summer birthday card. 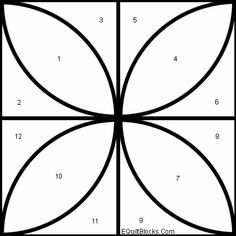 Taheerah has a nice discussion of Geometry and how it's used in design, with lots of wonderful examples - don't miss it! And you can even download some free geometric backgrounds if you don't have anything in your collection! 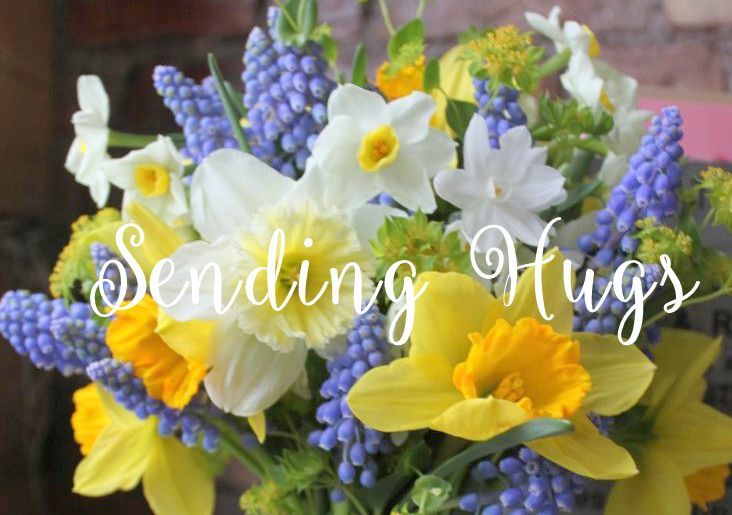 AEI♥U challenge #24 - Spring!